After confirmation, your metals are delivered to an independent bank or depository vault at which time you receive confirmation of ownership. The amount of metals held by the bank or depository remains in your name on IBX’s books and records until it is sold or you take personal delivery. 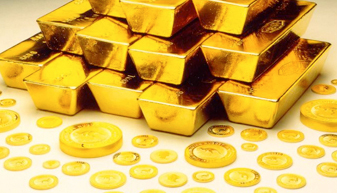 You can easily transact business – simply call and direct your Precious Metals Specialist to buy or sell and receive a prompt confirmation. You will also receive a written confirmation shortly following every buy or sell transaction. You will receive prompt, personal delivery of your bullion anytime and anywhere you want as long as there is no balance due. This gives you the added safety of full insurance on the daily value and the convenience of instant liquidity by just calling your personal Precious Metals Specialist. Your Orion Account offers convenience, flexibility, and professional account repre- sentatives to help both new and experienced investors alike, to secure their future and diversify their holdings, by adding gold and silver bullion to their portfolios. For more information, please call or contact one of our Precious Metals Specialists. They will be happy to take the time to answer all of your questions and explain to you the benefits of our Orion Account Program. Please call us today and take a step towards securing your future. *Investors in precious metals should understand the risks and rewards of such investments and carefully consider whether it fits with their investment goals. Past performance is not necessarily indicative of future results.